These two articles serve a second purpose as well. They seek to dispel a number of commonly held errors and misunderstandings – five in particular – that have developed over time, which in turn aids in constructing an accurate historical synopsis of the region. Regardless of which purpose is at hand, emendations are drawn wherever possible from primary sources (i.e., the writings of the Jesuits and their contemporaries, and others during Bolivia’s colonial and post-independence periods). 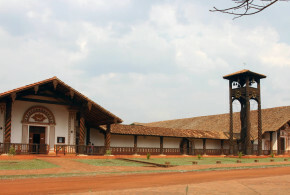 In so doing, it is hoped that researchers and historians – in particular those new to the study of the Jesuit missions of Chiquitos – will at last have a reliable English-language source for conducting research on the era of the Jesuit presence in the Chiquitania, one informed by primary-source materials. The ultimate goal is historiographical: to help demarcate between what previous writers have claimed or assumed was the reality of the period from what it actually was (as revealed in contemporaneous documents), and, from this vantage point, to assist in uncovering its true legacy. 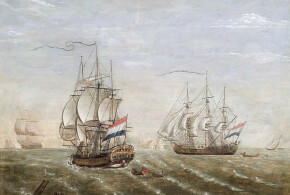 This work covers the years from 1572 – the year of the Jesuits’ arrival in Bolivia3 – to 1767 – the year of their expulsion4. 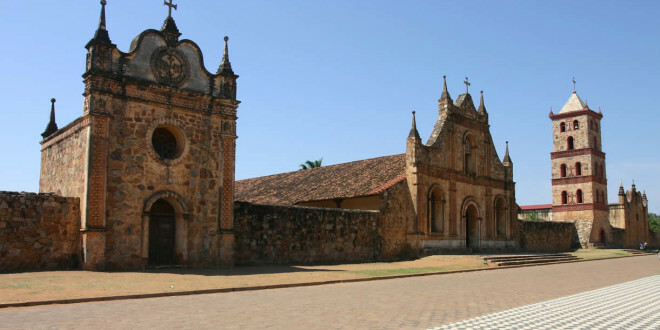 A second article, “The Long Silence: The Jesuit Missions of Chiquitos after the Extrañamiento” treats the history of this region from the aftermath of the Jesuits’ expulsion in 1767 to the present. Especial emphasis on the second work is placed upon the chaotic years following Bolivia’s independence in 1825 through the final collapse of the Jesuit-installed administrative system by 1851, roughly a quarter-century that has yet to undergo extensive research. It must be admitted that a critical approach to the history of the region was, until very recently, woefully lacking in academic rigour. To understand the cumulative impact that this oversight has had on its scholarship, a look at the historiography of the Chiquitania is in order. 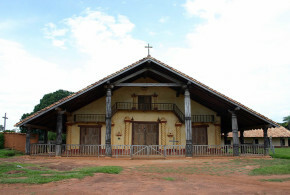 Whilst no extensive history of the Chiquitania or the Jesuit missions of Chiquitos in English has appeared, there are of course numerous accounts in Spanish, and several in German and other languages. Most of these rely heavily upon three secondary sources written well into in the nineteenth century, long after the Jesuits left and the settlements in the Chiquitania were fundamentally and irrevocably altered. 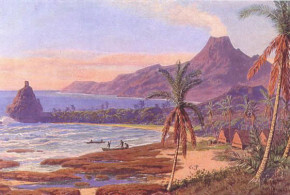 These three accounts are D’Orbigny’s recollections of his travels in the region between 1831 and 1833F5F; Castelnau’s natural history travelogue from the 1840s entitled Expédition dans les parties centrales de l’Amérique du Sud: De Rio de Janeiro à Lima, et de Lima au Para6; and René-Moreno’s writings, collected in 1888 as Catálogo del Archivo de Mojos y Chiquitos.F7F With the exception of René-Moreno (who had access to a limited number of them only), none of these authors worked much with primary resources. Twentieth-century assessments by Enrique Finot, Guillermo Furlong, Werner Hoffman, Plácido Molina, Alcides Parejas, and others followed, many of which were gathered together and edited by Pedro Querejazu to form the massive Las Misiones Jesuíticas de ChiquitosF8F, universally considered the most exhaustive treatment of these missions. In many cases based upon research initially conducted by earlier writers, some egregious mistakes in these works were carried over. Nonetheless, these later efforts deserve credit for shedding a more accurate light on this often misunderstood and much mythologised era. 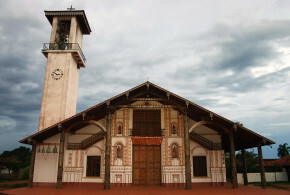 In the 1980s and 1990s, many more primary resources were uncovered, in the Chiquitania and elsewhere, partly as a direct result of ongoing restoration efforts to the region’s mission complexes, led by a former Jesuit turned architect named Hans Roth. 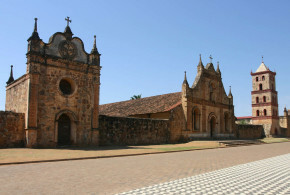 In the academic arena, the Jesuit missions of Chiquitos hold promising research for several fields of scholarly activity, including acculturation and adaptation studies, Jesuit history and the Jesuit modus operandi, and missiology. Formal associations dedicated to the study of these missions in particular do not yet exist, although the biennial Jornadas Internacionales sobre Misiones Jesuíticas14, held every other year since 1982 in a location associated with the Jesuit colonial missions of Argentina, Bolivia, Brazil, Chile, or Paraguay, provides a forum for exchange of scholarly research and ideas on the region. Universities throughout North and South America, notably Boston College, also sponsor similar academic forums. 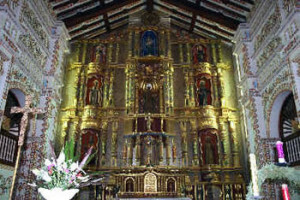 Finally, the combined efforts of the departmental government of Santa Cruz – the department in which the mission towns are located – and several cultural organisations, spearheaded by the Santa Cruz de la Sierra-based Asociación Pro Arte y Cultura (APAC), have raised interest in and awareness of the region and its unique patrimony. 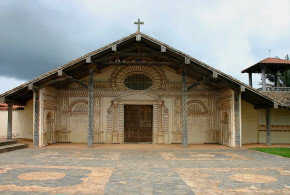 Collectively, these culminated in 2006’s much-anticipated “Lanzamiento Mundial del Destino Turístico ‘Chiquitos’, Misiones Jesuíticas de Bolivia” initiativeF15F, which showcased the Chiquitos missions as examples of cultural tourism. Regrettably, under the current administration of President Juan Evo Morales Ayma, the national government of Bolivia has done nothing to protect and responsibly promote the missions or the region as a whole. Lifting the carefully constructed veil of tourist-centric reinterpretation to assess the Jesuit past of Chiquitos has proven difficult. Two significant challenges in particular confront historians and others attempting to access information on this period and utilise it as a foundation for research. In spite of the genuine singularity and undoubted richness of the cultural patrimony of these settlements (and of the Chiquitania as a whole), there remains a paucity of reliable information available in English. What does exist – in any language – often is not anchored in primary sources and is riddled with errors. These mistakes arise when writers cite earlier works without verifying their accuracy, injudiciously extrapolate conclusions from them, or attempt to fill lacunas without sufficient documentation. The point cannot be over-emphasised: scholars seeking to glean accurate information or buttress hypotheses must tread carefully when citing previous research on the Jesuit missions of Chiquitos, and especially when it does not cite primary sources. Examples of these compounded mistakes abound. Five commonly repeated ones that have found their way into accepted accounts of the region with unfortunate consequences for later research will be examined individually here. The majority of these errors – and others that stem from these foundational ones – often result from incorrect attempts to respond to a small number of repeatedly asked, basic questions. These are often formulated in one way or another along the lines of the following five queries. 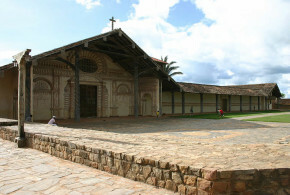 How many Jesuit missions were founded in the Chiquitania? Who constructed their churches – the best-known visual attributes of these communities? 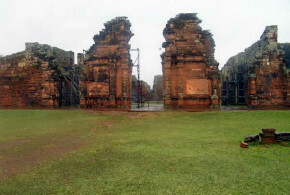 How did the Jesuits of Chiquitos communicate with the Jesuits of Paraguay? What happened to the descendants of the original inhabitants of these communities? What is the reality of these communities vis-à-vis their perception as living legacies of the Jesuits’ presence? – Part 2: How Many Jesuit Missions Were Founded? 1 The Chiquitania technically includes the six eastern provinces of Santa Cruz Department: Guayaros; Ñuflo de Chávez; [José Miguel de] Velasco; Ángel Sandoval; Germán Busch; and Chiquitos, although Guarayos is often excluded. 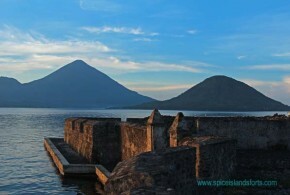 These provinces originally were part of a much larger area known until 1880 as Chiquitos province. The extant Jesuit missions of Chiquitos are found in all but Guarayos (which was and is considered a separate mission field – earlier referred to as Mojos and then Moxos) and Germán Busch provinces. For this article, the terms Chiquitania and Chiquitos are understood as interchangeable when employed in a geographical context. 2 An English-language translation of Alcides Parejas’ HChiquitos: un paseo por su historiHa (Santa Cruz: APAC Fondo Editorial, 2004) exists, although this work is no more than a brief overview. 3 Bolivia was known as Upper Peru until its independence on 6 September 1825. 4 In Spanish, the Extrañamiento, the royal decree expelling the Jesuits from the Chiquitania and all Spanish possessions in the New World, proclaimed by King Carlos III on 27 February 1767. For a copy of the decree, see Mariano B. Gumucio, Las Misiones Jesuíticas de Moxos y Chiquitos: Una Utopía Cristiana en el Oriente Boliviano, 3rd ed., (La Paz: Lewylibros, 2003), pp. 162-3. 5 First published in nine volumes as Voyage dans l’Amerique Meridionale (le Brasil, la Republique Orientale de l’Uruguay, la Republique Argentine, la Patagonie, la Republique du Chili, la Republique de Bolivia, la Republique du Perou), exécuté pendant les années 1826, 1827, 1828, 1829, 1830, 1831, 1832 et 1833 (Paris: Chez Pitois-Levrault et Cie., 1835–1847). The 4-volume 1945 edition published by Editorial Futuro in Buenos Aires is the latest unabridged version. Richard Gott retraces much of D’Orbigny’s Bolivian expedition in Land without Evil: Utopian Journeys across the South American Watershed (Avon, UK: Bath Press, 1993), in which, see pp. 65-294, passim. 6 First published in seven volumes by Chez P. Bertrand in Paris in 1850. 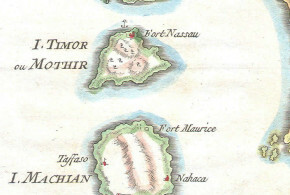 Volume six contains the section “Voyage dans le sud de la Bolivie”, which was written not by Castelnau but by his colleague and fellow-traveller Hugh A. Weddell. 7 Conceived originally as a catalogue of René-Moreno’s historical essays and papers, Catálogo del Archivo de Mojos y Chiquitos (Santiago: Imprenta Gutenberg, 1888) was published at the expense of the Bolivian government. Intended as a tribute to its author, it – along with D’Orbigny’s earlier work – became a de rigueur source for future historians. A second edition, edited by Hernando Sanabria in 1973, provides additional documentation not found in the original materials. Recent scholarship and the discovery of new primary-source accounts have shown none of these three nineteenth-century works to be free from error. Of the three, D’Orbigny’s writings are generally considered more historically reliable and less prone to speculation. 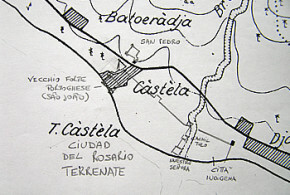 Those of Castelnau are deemed mostly accurate when describing flora and fauna but less so in their observation of the region’s cultural and social phenomena. 8 Pedro Querejazu, ed., Las Misiones Jesuíticas de Chiquitos (La Paz: Fundación BHN, 1995). 9 Of the primary sources that have been extensively researched, perhaps the most useful is the monumental, multi-volume Historia general de la Compañía de Jesús en la Provincia del Perú: Crónica anónima de 1600 que trata del establecimiento y misiones de la Compañía de Jesús en los países de habla española en la América meridional (especially Vol. II), edited by Francisco Mateos (Madrid: Consejo Superior de Investigaciones Científicas, 1944). 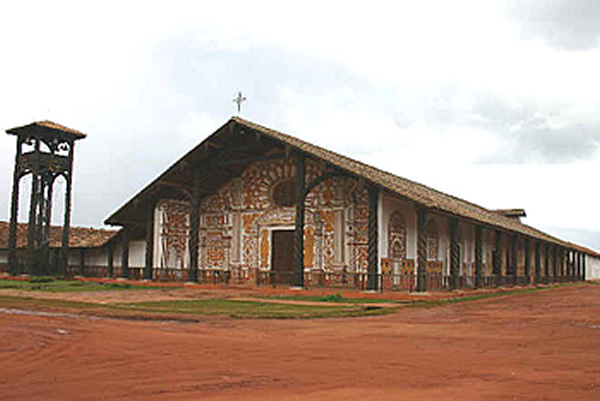 Also of importance, although of greater relevance to the study of the Paraguay missions, is the unedited archive of correspondence from the Jesuits of Paraguay from the years from 1690 through 1718. Collectively known as “Cartas a los Provinciales de la Provincia del Paraguay 1690-1718,” these manuscripts are housed in the Jesuit Archives of Argentina in Buenos Aires, which also contain the invaluable annals of the Paraguay Province of the Company of Jesus, covering the years from 1689 through 1762. The letters and reports of the Jesuit missionaries themselves, many of which are in manuscript form and housed in the Archivo General de Indias in Seville or the Archivo General de la Nación in Buenos Aires, are of course supremely important. 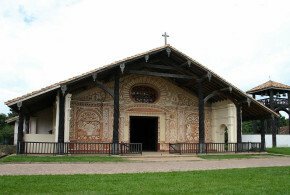 The cartas and relaciones of Frs. Agustín Castañares, Ignacio Chomé, Esteban Palozzi, José Rodríguez, José Sánchez Labrador, and Martín Schmid are amongst the most valuable. Those of Fr. 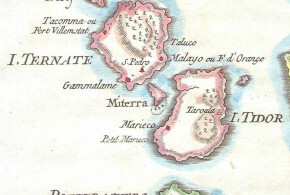 José de Arce, including “Relación de la fundación del colegio de Tarija y de la conversión de los chiriguanos” (1692), “Carta original del P. José de Arce en la que da testimonio sobre las promesas que se hacen para que se conviertan los indios de las misiones del Paraguay” (1707), and “Breve relación del viage que hizieron dos Padres de la Compañía de Jesús por el Río Paraguay arriva a las Misiones de los Chiquitos en el año de 1715” (1715) – the first two in the Biblioteca Nacional de Rio de Janeiro, and the third in the Archivo General de la Nación in Buenos Aires – are essential. Likewise, the seven memoriales of Fr. 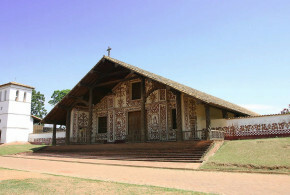 Felipe Suárez written in 1725 treating six Chiquitania missions, also archived in the Archivo General de la Nación in Buenos Aires, are invaluable. The most-often quoted primary sources are the cartas of Fr. Martin Schmid, written between 1726 and 1770. Fr. Julián Knogler’s “Inhalt einer Beschreibung der Missionen deren Chiquiten”, Archivum Historicum Societatis Jesu, 39/78 (Rome: Company of Jesus, 1970), is indispensable for providing an account of the missions immediately after the Extrañamiento, as is his 1769 account “Relato sobre el país y la nación de los Chiquitos en las Indias Occidentales o América del Sud y en la misiones en su territorio”, for which, see Werner Hoffman, Las misiones jesuíticas entre los chiquitanos (Buenos Aires: Fundación para la Educación, la Ciencia y la Cultura, 1979). Fr. Juan de Montenegro’s Breve noticia de las missiones, peregrinaciones apostólicas, trabajos, sudor, y sangre vertida, en obsequio de la fe, de el venerable padre Augustín Castañares, de la Compañía de Jesús, insigne missionero de la provincia del Paraguay, en las misiones de Chiquitos, Zamucos, y ultimamente en la missión de los infieles Mataguayos. (Madrid: Manuel Fernández, Impresor del Supremo Consejo de la Inquisición, de la Reverenda Cámara Apostólica, y del Convento de las Señoras de la Encarnación, en la Caba Baxa, 1746) is useful. Fr. 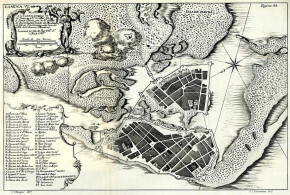 Juan Patricio Fernández’s Relación historial de las misiones de los indios, que llaman chiquitos, que están a cargo de los padres de la Compañía de Jesús de la provincia del Paraguay (Madrid: Manuel Fernández, 1726), and Relación historial de las Misiones de Indios Chiquitos que en el Paraguay tienen los padres de la Compañía de Jesús, Vols. I and II (Madrid: Manuel Fernández, 1727) are of much value, as his Historica relatio, de apostolicis missionibus patrum societatis jesu apud chiquitos, paraquaræ populos, primò hispano idiomate conscripta (Augustæ Vindelicorum: Sumptibus Mathiæ Wolff, 1733). Also important is Fr. Pedro Francisco Xavier de Charlevoix’s Historia del Paraguay (Paris: Desaint, 1756), Vols. I-VI. Carlos Page’s compilations of colonial-era Jesuit correspondence, El Colegio de Tarija y las misiones de Chiquitos según las Cartas Anuas de la Compañía de Jesús (Buenos Aires: Edición On-line, 2011), and Chiquitos en las Anuas de la Compañía de Jesús (1691-1767), co-authored with Isabelle Combès, W. Javier Matienzo, and Roberto Tomichá, OFMConv. 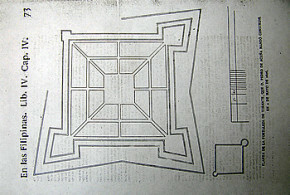 (Cochabamba: Itinerarios Editorial, 2011); and Tomichá’s edition of Francisco Burgés y las misiones de Chiquitos: El memorial de 1703 y documentos complementarios (Cochabamba: Editorial Verbo Divino e Instituto de Misionología de la Universidad Católica Boliviana, 2008) are the latest additions, with excellent examples and bibliographies of primary source materials. 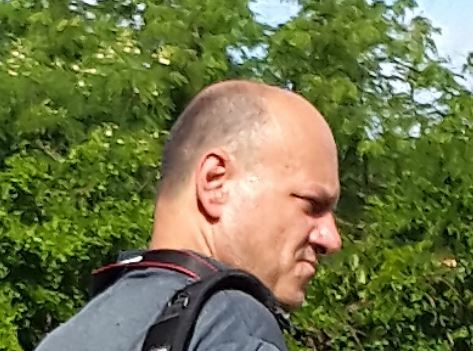 There are other primary sources as yet unexamined, many of which are archived in Cochabamba, Sucre, and Tarija (Bolivia); Buenos Aires, Córdoba, and Tucumán (Argentina); Asunción (Paraguay); Madrid; and Rome. 10 See, for example, José María García, “Los jesuitas en Santa Cruz de la Sierra hasta los inicios de las reducciones de Moxos y Chiquitos: Posibilidades y limitaciones de la tarea misional”, in Quinto Centenario 14 (Madrid: 1988, pp. 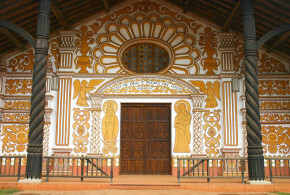 73-92); Antonio Menacho, S.J., Fundación de las Reducciones Chiquitos (Santa Cruz: Verbo Divina, 1987) and Por Tierras de Chiquitos (San Xavier: Vicario Apostólico de Ñuflo de Chávez, 1991); Alcides Parejas, Historia del Oriente Boliviano: Siglos XVI y XVII (Santa Cruz: Universidad Gabriel René Moreno, 1979); Eckart Kühne, ed., Las misiones jesuíticas de Bolivia: Martin Schmid, 1694-1772; Misionero, músico y arquitecto entre los chiquitanos (Santa Cruz de la Sierra: Asociación Suiza por la Cultura Pro Helvetica, 1996); Roberto Tomichá, OFMConv., La Primera Evangelización en las Reducciones de Chiquitos: Protagonistas y Metodología Misional (Cochabamba: Editorial Verbo Divino, 2002) and La Iglesia en Santa Cruz (Cochabamba: Editorial Verbo Divino, 2005); and Oscar Tonelli, Reseña histórica social y económica de la Chiquitania (Santa Cruz: Editorial El Pais, 2004). Mariano B. Gumucio’s Las Misiones Jesuíticas de Moxos y Chiquitos: Una Utopía Cristiana en el Oriente Boliviano, 3rd ed., (La Paz: Lewylibros, 2003), which covers the Moxos missions as well as those of Chiquitos, also merits mention, as do a number of works by Guillermo Furlong, S.J. For a truly landmark account of the missions seen through their artistic output, see María José Diez, Los bienes muebles de Chiquitos: Fuentes para el conocimiento de una sociedad. (Madrid: Agencia Española de Cooperación Internacional, 2006). Perhaps most important of all are the works of the late Hans Roth and the other ongoing publications of his associate Eckart Kühne. 11 The Jesuits were not the first to employ the reducción method, but their genius led to its perfection. 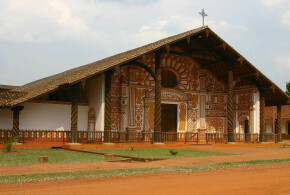 The first reducción in the New World was established between 1515 and 1522 by the Franciscan friar Bartolomé de las Casas in Cumaná, Venezuela. 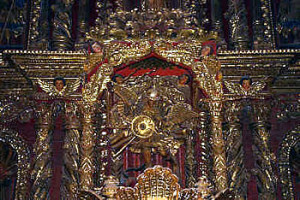 His idea was adopted and perfected by the Jesuits when they were given possession of the Dominican doctrina of Juli in 1576 by order of the viceroy of Peru, Francisco de Toledo. 12 For information on these festivals, sponsored by the Asociación Pro Arte y Cultura (APAC), see http://www.festivalesapac.com. 13 See http://whc.unesco.org/archive/repcom90.htm#529, for the document “United Nations Educational, Scientific and Cultural Organization Convention Concerning the Protection of the World Cultural and Natural Heritage: Report of the World Heritage Committee, Fourteenth Session, Banff, Alberta, Canada, 7-12 December 1990”. 15 See http://www.lostiempos.com/diario/actualidad/economia/20060315/preparan-lanzamiento-de-chiquitos-hacia-el-mundo_5465_5465.html, for further information on this important but as yet unrepeated Bolivian public-/private-sector joint initiative.